And what makes the new Ford Fusion so perfect? It’s basically half electric and half gas, which means that when the driver (me) runs out of electric power, the gas tank is sufficient enough to get me to where I’m going without automatically shifting into power-saving mode. I know this because I spent a lot of time in it this past weekend not just roaming around the streets of Toronto. I also took it out on a short road trip to visit my family a couple hours outside of the city. 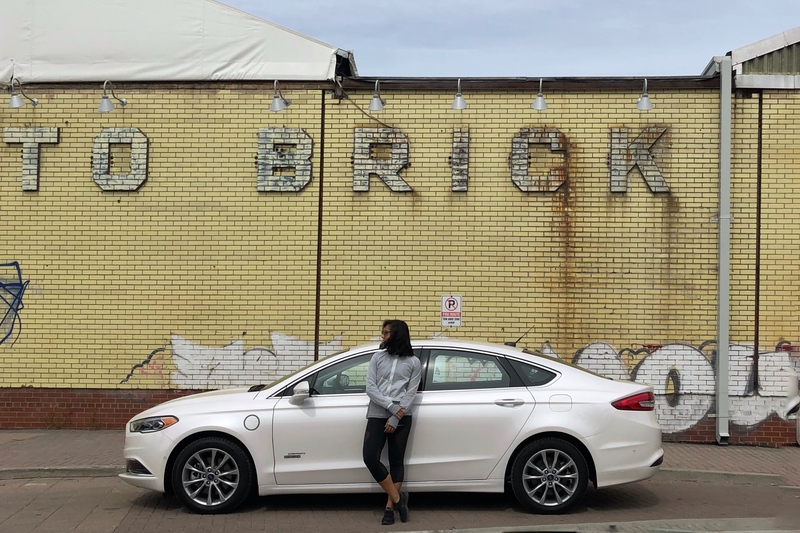 One of the biggest selling points of this plug-in sedan is the fact that charging stations are found conveniently around the city including Evergreen Brickworks, where I happened to visit. 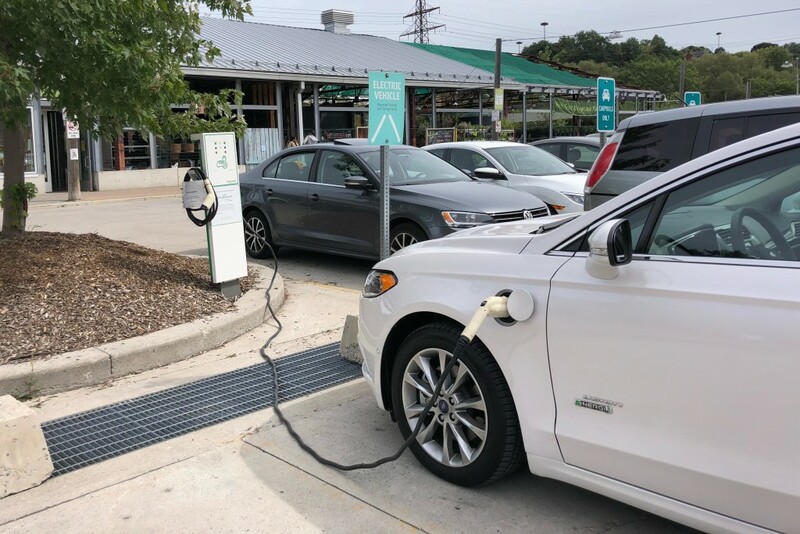 Not only does this, again, address my personal range anxiety when it comes to electric vehicles, but also gives me an excuse to pay a visit to great city spots. It also features all of the comforts and advancements one would expect to find in a 2018 model. Beyond that, the trunk space is compromised by the battery, yet for a city dweller like me, that’s not much of a concern. I think the environment trumps my need for more room every time. Although more professional car reviewers have cited the brakes as a concern, I didn’t feel anything significantly troublesome about them at all. Overall, this sleek electric car hits high notes for me. Comfortable, reliable and ushering in a more responsible way to get from point A to B, I was definitely a happy driver.